Adrspassko-teplicke skaly is a real wonder of the Czech nature. 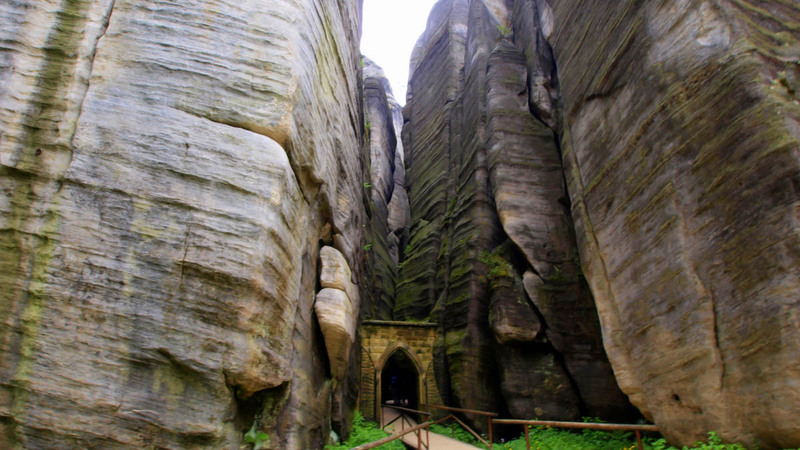 Here it is possible to see many amazing rocky tunnels in a mix with pure nature in one place. 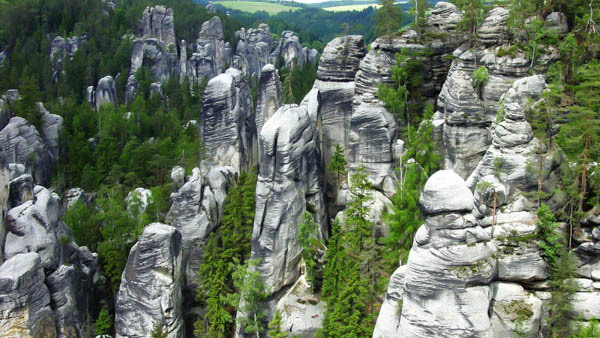 These rocks can be called the largest rock formation in the Czech Republic. 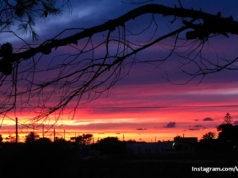 The whole territory is about 1800 hectares and has well-equipped tourist paths. The first of them appeared after the terrible fire of 1824. Then in Adrspach almost the whole forest was burnt out, and soon there were trails for walk. The place is beautiful at any season. Besides, it attracts filmmakers and in particular, some episodes of “The Lord of the Rings” were shot here. 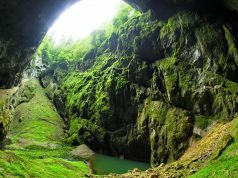 Adrspassko-teplicke skaly form a real system, which includes caves, canyons, gorges and labyrinths. 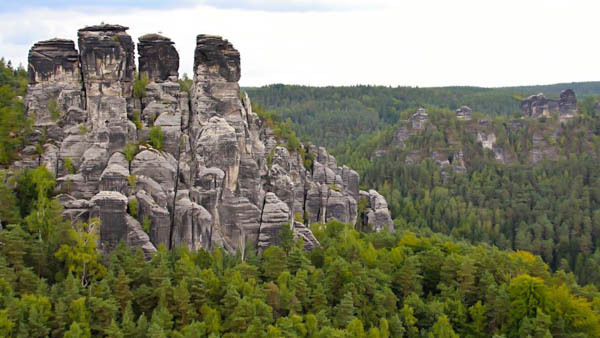 Most noteworthy is the monolith Adrspach, which appeared as a result of combining several rock formations. In addition, you can see two waterfalls that are here at different times depending on the season. 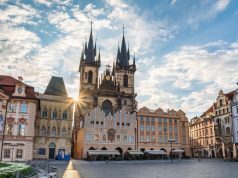 This place attracts tourists and travelers from all over the Czech Republic since the 18th century. Interesting fact, the once there was a big fire that lasted for several days and all the trees burned down. 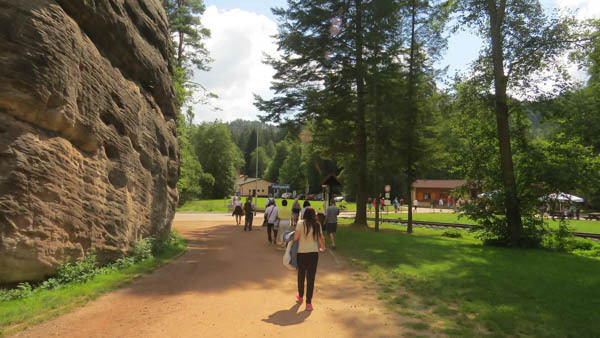 Those sandstones became visible and attracted tourists. Since then, tourist trails have started to appear in this area, and climbers come here for active rest. Adrspassko-teplicke skaly has its own unique charm and will conquer you at any time, whenever you come here. Recently, the rocks have become popular among tourists from abroad. Therefore, on weekends and holidays a lot of people are going to see this beauty with their own eyes. Access to some places of the rocky city is possible only by steps and paved trails. 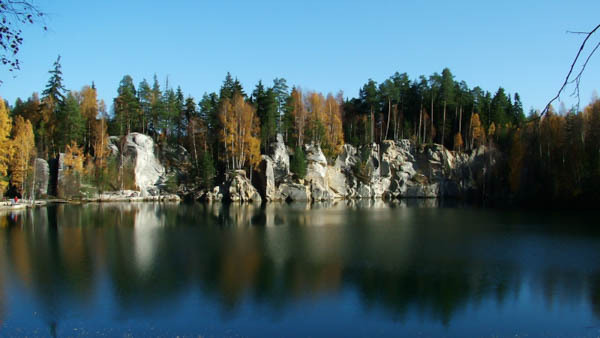 In particular, a rocky lake is very high but today you can swim there in a boat. It is almost impossible to find this mountain pond on your own, especially if you are the first time in this side. So it is better to ask locals or guides. 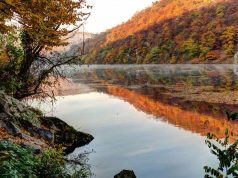 Those who cannot still get to this wonderful water body, can admire the magnificent small azure lake at the foot of Adrspassko-teplicke skaly. Hiking is the perfect thing of what to do here. If you go there for the first time, at the entrance you will get a tourist scheme with all routes marked. The red tourist route begins in Dedov and Yavor with interesting log houses. Here you can also see village Skala with the Baroque castle of the same name. It was built here in 1666 on the site of a former fortress. The ruins of the rock castle originate from the second half of the 14th century. After destruction in 1447, it was rebuilt in 1548. Finally, these possessions were abandoned in the early 17th century. The village, the ruins of the castle and the baroque castle became the scene of one of the novels of Alois Jirask “Rocks”. 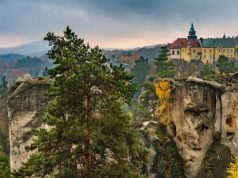 That castle gives a chance to enjoy a magnificent view of the northeastern part of the Broumovsky region and its surroundings – Politsa nad Metuji and Ostas mountain. From the village of Skala the road leads to the top of the mountain Chap, the height of which reaches 786 meters to the green tourist route. 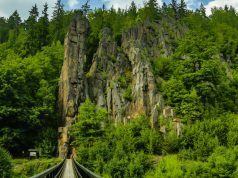 If you go through the Kravi mountains and go down to the mountain river, you will find the yellow line of the tourist route, which will take you to another castle on the rock Střmen. It was erected here in the late 13th century and fell into decay, like the baroque castle near the Rocks in 1447. With the barely surviving local ruins, you have an excellent view of the Adrspassko-teplicke skaly and the valley of Metuji. By the blue tourist route, which leads from here, you can reach the train station in Teplice nad Metuji. 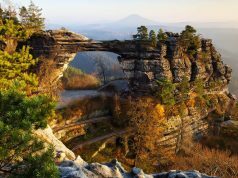 The path goes between fantastic rock formations with names Starosta and Starostich, the Eagle’s Nest, the Tooth or the Devil’s Bridge. Along the way you can relax at the Big Falls. Above the waterfall you will find a small artificial lake, along which you can swim on the gondola. The district is surrounded by rock formation. 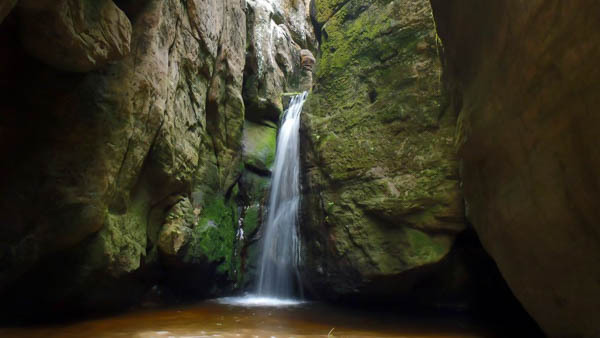 However, you should be lucky one because the waterfall appears depending on season and the weather. Spend at least a couple of hours to study this place. 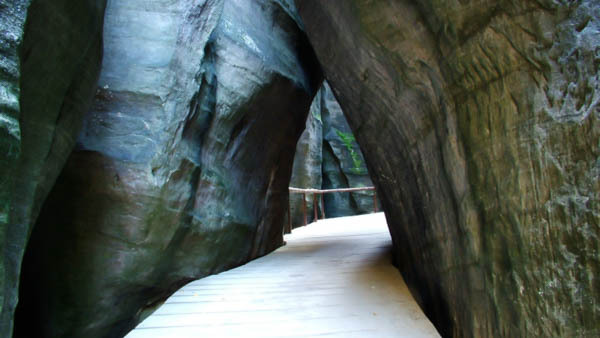 On the way you will meet stunning and majestic rock formations. By the way, there is stairs so you can go up on the top to the ruins of the Strishman fortress, which now has a viewing platform. 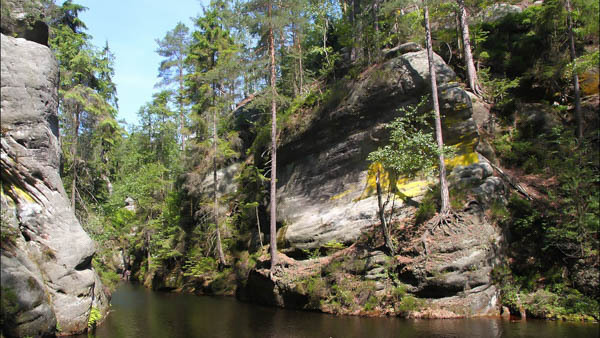 There is a 20 kilometers long bicycle path around the Adrspach rocks of medium difficulty. Throughout the journey you will ride in close proximity to the rocky towns, so you will definitely make stops to enjoy a beautiful view of the surrounding area. Your path will begin in the town of Teplice nad Metuji. 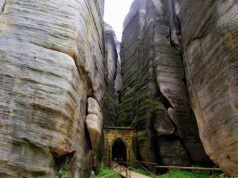 Pay attention to the church of St. Laurentia and to Jiraskova Rocks further. Some of them rise above the Cerne Lake next to the former medieval fortress of the Rock. By the way, from the observation platform above the rocks you will see a magnificent view. You can continue your way to Adrspach village. 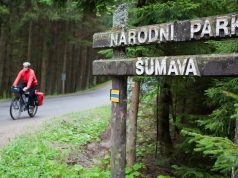 The bike path ends with the last stretch of the road, which will take you through the tourist car cove Buchnice and the surrounding rocks back to Teplice nad Metuji. The cycling route around the Adrspach rocks is one of the most beautiful in the region. Another popular activity is climbing on the Adrspassko-teplicke skaly. Besides, standing on the top you will admire the unique view of the region, full of forests and rocks, terraces and towers. 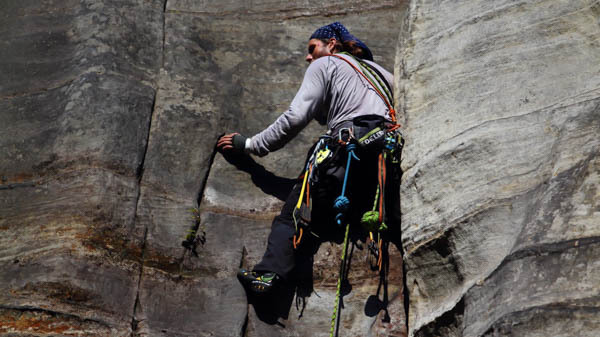 Fans of sports and free climbing will find a number of obstacles of all degrees of complexity. 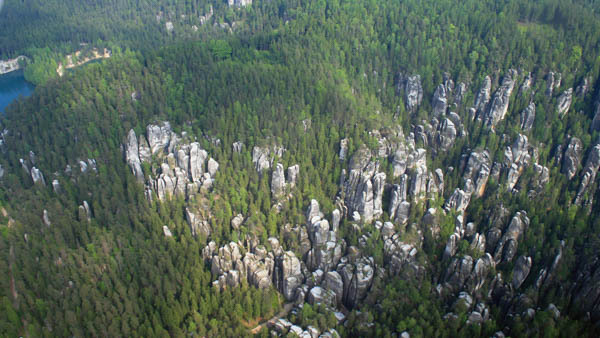 One of the most popular routes for climbing is the fifty-meter tower “The Rock Crown”. However, it is not necessary to be an experienced climber in order to enjoy it. You can choose a course under the guidance of qualified instructors. 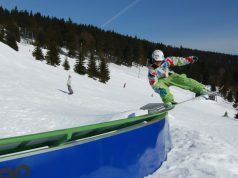 If you want to have fun with family, then visit Adrspach rope park. There are various programs for individuals and groups as well. The rope park also offers climbing courses and climbing on an artificial wall. Looking at the map of the Czech Republic it may seem that the place is far away from the capital. But it is not because you can get here from Prague only in 4 hours. The route by bus takes you 5.30 hour and the tickets cost about 10 Euro. Take the bus to Broumov – městský úřad from Florenc station in Prague. 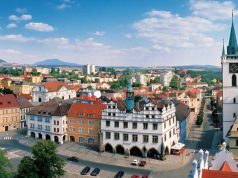 You will get there in 4 hours and then take bus to Adršpach – Horní Adršpach station. Train goes faster so you will get there in 4.30 hours. The ticket price is 8-12 Euro. At the main station in Prague take the Regional train to Trutnov hl.n. From here, change it to the bus to Adršpach – Horní Adršpach station. More information about tickets and time schedule here – Czech Railways. Travelling by car, you will reach the place in 2 hours. The distance between Prague and Adrspach is 172 kilometers. You will need 14 liters of fuel which is about 20 Euro. Adrspach is a nature park so local authorities made an entrance fee to keep it clean and safe for tourists. In a case you want to stay there for a couple of days, we will help you to choose the very best option. Here are the lists of hotels and apartments with the highest reviews. Adrspassko-teplicke skaly is a stunning place where you can have active rest or relax and free your mind. It is well-equipped with tourists’ routes, signs and routes for biking and climbing. 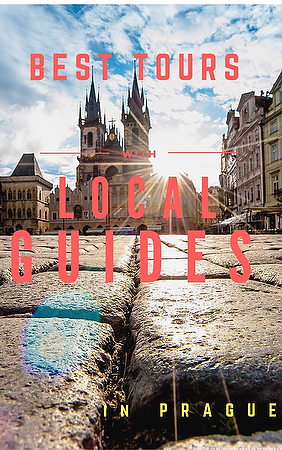 Nevertheless, it is a grate choice for a one-day trip to Prague with local guide. Enjoy it in full and have an excellent time here. 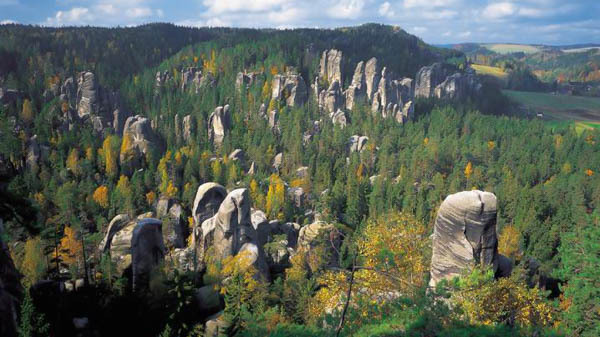 Adrspasske-teplicke skaly is another natural beauty of the Czech Republic. Here you can get active rest cycling and mountain climbing, as well as relax exploring all its picturesque views.